PT Surveyor Indonesia (Persero) – PTSI is an Indonesian state-owned company that is involved in independent assurance services. Headquartered in Jakarta, PTSI concentrates its business activities in the field of assurance services, encompassing survey, assessment, appraisal, inspection, auditing, monitoring and also consulting services. Its business line include Oil & Gas and Petrochemicals, Energy and Generating Systems, Minerals and Coal, Industry and FaciIity, Government and Institutions, and Public Service Safety and Services Certification. 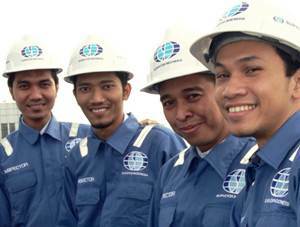 As a state-owned company, PTSI is majority owned by the Indonesian government. At present, PTS is 85.12% owned by the Indonesian government, 10.40% by Societe Generale de Surveillance SA and 4.48% by PT SUCOFINDO (Persero). PTSI now supported by 2 key subsidiaries, namely PT Surveyor Carbon Consulting International and PT Synerga Tata International. According to PT Surveyor Indonesia (Persero) Annual Report 2014 as cited by JobsCDC.com, PTSI managed to strengthen its financial performance in 2014. The Company managed to record a total revenue of Rp 800,774 million in 2014. This reflected an 5.04% increase from Rp 762,299 million in 2013. Total comprehensive income for the year amounted to Rp 108,961 million in 2014, which represented an increase of 4.98% over total comprehensive income for the year recorded in 2013 of Rp 103,790 million. Maximum age 25 years old. Past experience in the field of taxation. Fresh graduate will be considered. Minimum requirement of Associate Degree (D3) / Undergraduate Degree (S1) or equivalent, majoring in Accounting. Have a GPA score min 2.75 (scale 4.0). Computer literate (minimum Microsoft Word and Excel). Proficiency in foreign languages is preferred. Copy of ID Card and photograph 4×6).